Vollrath Manufacturing Services is an industrial product solutions company. We direct a fully-integrated collaborative process that produces custom design, engineering, and manufacturing solutions for our customers’ complex needs. Our dependable, versatile team understands and can work within the unique requirements of any project, no matter how complex. From deep drawing and metal stamping, to materials and product sourcing and even plastics and acrylic manufacturing, we offer a wide array of in-house operations. 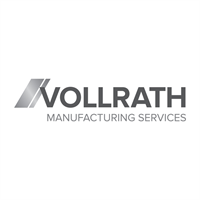 Whether your project is in its infant stages or in need of a fresh perspective, Vollrath Manufacturing Services can assist you.